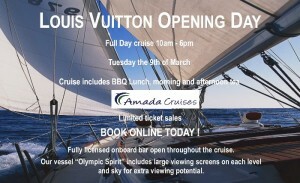 Cruise includes BBQ lunch, morning and afternoon tea. Fully licensed onboard bar open throughout the cruise. Our vessel "Olympic Spirit" includes large viewing screen on each level and sky for extra viewing potential.